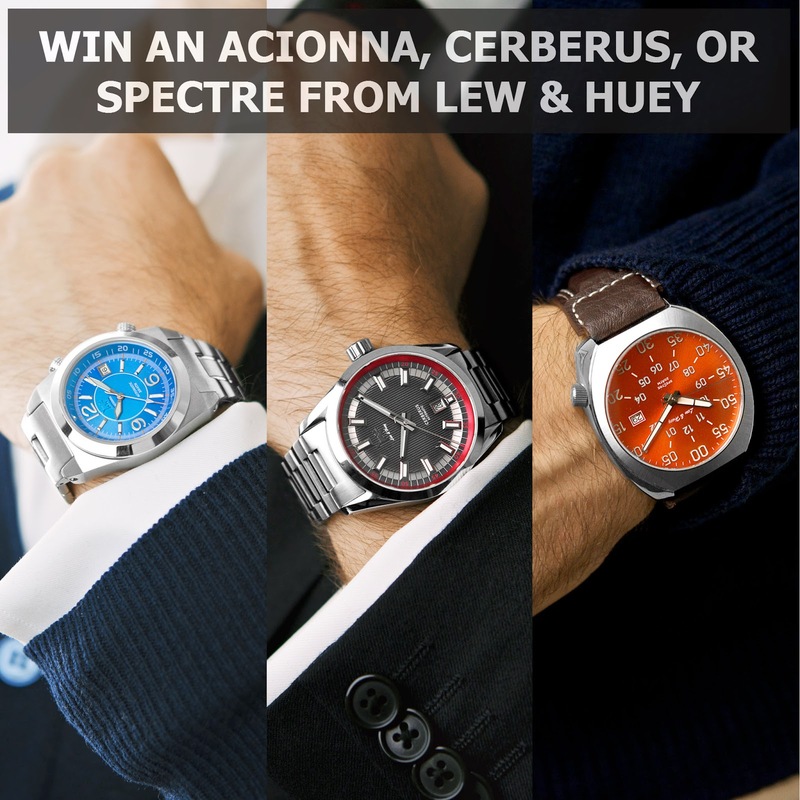 After reading my reviews of the Lew & Huey Cerberus, Spectre, and Acionna, you probably thought, "Gee, those are pretty cool, but wouldn't it be even cooler if I could get one for free?" Indeed, that would be pretty cool, and mighty unlikely, until now. To celebrate the second anniversary of Lew & Huey's founding, and the success of five watch projects, Chris Vail is giving away three watches. Just enter your email address in the form on the Lew & Huey website here: Giveaway. Bonus entries will be awarded for following/sharing on social media. The winners will be chosen at random on October 7th. one of our computer overlords will randomly pick 3 winners. If you win and you don't want the watch, you can pick another one of equal or lesser value. No purchase necessary to win. Void where prohibited. The giveaway is sponsored by Lew & Huey. The Time Bum has nothing to do with it. I just thought you might want to snag a free watch.